Now that you've made the big decision to get your hip replaced, don't just go on auto-pilot until your surgery date rolls around. The right prep can make a huge difference in making your recovery speedy and smooth. Learn about the procedure. Before you check into the hospital, find out everything you can about hip replacement surgery, the type of joints to choose from, and what to expect during recovery. Check out expert web sites like the American Academy of Orthopaedic Surgeons (AAOS) or the American Association of Hip and Knee Surgeons (AAHKS). Write down questions for your surgeon. You're going to have a bunch of things to ask about, but it may be hard to remember them all when you're sitting in the office. Jot down a list beforehand on a pad so you'll be prepared for your appointment. Consider the impact on work. Think through how surgery and recovery will affect your job and home life. Depending on what you do for a living, you may need a few weeks -- or even a few months -- away from your workplace. Get in shape before surgery. It could help speed up your recovery. If you're overweight, try to lose a few pounds. Build up your strength, too. A strong upper body will make it much easier to get around on crutches or a walker. Meet with a physical therapist. It's helpful to do this before your surgery. 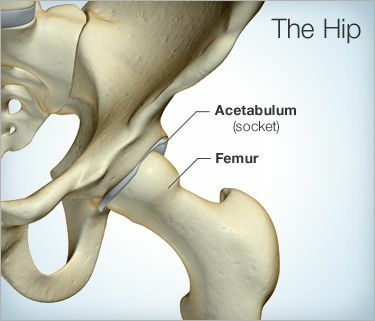 The right exercise is key to a good recovery and a successful hip replacement. If you learn how to do some before your operation, it will make them easier to do later. Test drive your crutches or walker. See if you can borrow them at the doctor's office. If you get comfortable with them now, it will help you get around easier after your surgery. Get family and friends to help. No one can recover from hip replacement alone. Work out a plan with your loved ones now. If you live alone, see if a friend or close relative could stay with you for a while. If you don't have a support system you can rely on, ask your doctor if you could stay in a rehab center after surgery while you recover. Rearrange your home. It's important to make changes now so everything will be ready when you get back from the hospital. Consider sleeping in a room on the first floor. Set up a kind of "base camp" where you'll spend most of your time -- with phone, computer, remotes, and everything else you'll need in easy reach. Make sure your house will be easy to move around in with a walker or crutches. Remove possible tripping hazards, such as loose rugs. Buy helpful gadgets. Devices like reachers or long-handled shoe horns will come in handy after surgery. Set up railings on stairways or in the bathroom to make life during recovery easier and safer. American Academy of Orthopaedic Surgeons: "Preparing for Joint Replacement Surgery," "Activities After a Knee Replacement," "Is Hip Replacement Surgery for You?" Matthew Austin, MD, spokesman, American Academy of Orthopaedic Surgeons; orthopedic surgeon, Rothman Institute, Philadelphia. Tariq Nayfeh, MD, PhD, assistant professor, orthopaedic surgery, Johns Hopkins Bayview Medical Center, Baltimore, MD.